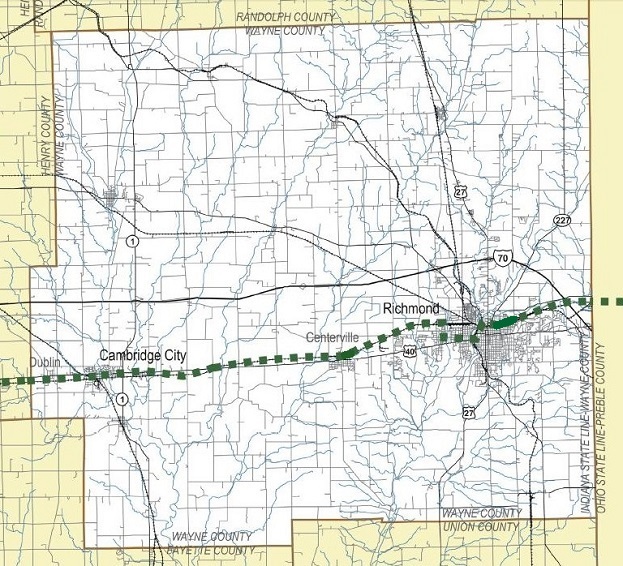 Plans for the NRHT in Richmond and east to Ohio are in the investigative stages, but one trail project is in the works with the city of Richmond having been awarded a Recreational Trails Program grant to pave 1 mile of Riverside Trail. Through town routes are being researched to then connect with the Cardinal Greenway at the Whitewater River Gorge. The city of Richmond is working on paving the first mile of Riverside Trail.